Winter is the most unfavorable period for birds, especially for water birds. Low temperatures, difficult access to food, and short duration of daylight hours serve as the basic negative factors in this period for the vital activity of birds. In addition to natural difficulties, ducks in Armenia also bear anthropogenic influences – among them the construction of on-shore reservoirs, hunting, and poaching out of the hunting season. A large number of wild ducks gather on Yerevan Lake. According to the winter water bird counting done by specialists on Lake Sevan and Ararat valley, comparatively fewer wild ducks are left in these places, because they are constantly troubled by fishing boats on Lake Sevan and they are harassed and shot by hunters and poachers in Ararat valley. Fortunately, on Yerevan Lake these types of disturbance are absent. Nevertheless, ducks still have to fly from Yerevan Lake to the water reservoirs of Ararat valley in search of food and there they often fall by hunters’ bullets. 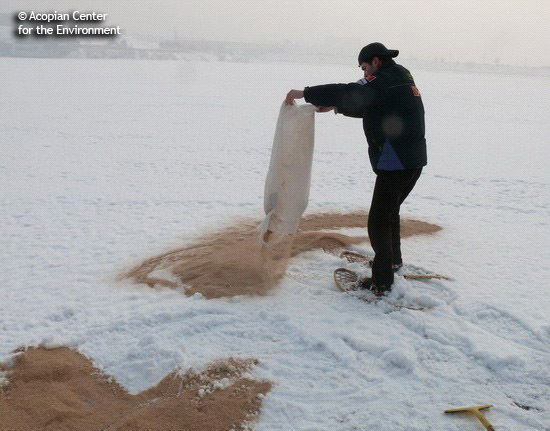 Starting from 2002, we have conducted annual winter feeding for water birds in order to keep the ducks on Yerevan Lake. We use special dry mixtures composed of mixed fodder of barley and oats as well as crumbled dry bread and bread products. We put the bird feeding manger approximately in the middle of the lake and feed the birds once per week. We take sacks of forage on a boat to the floating manger. 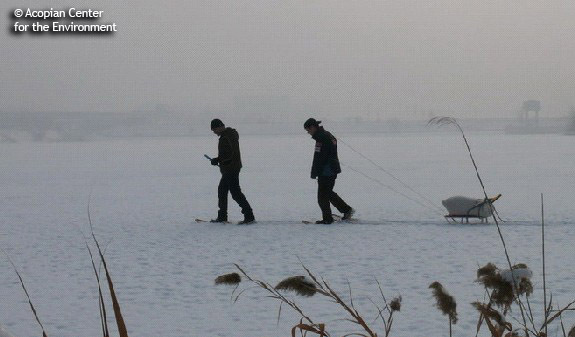 In addition we survey the bird species composition and count the number of birds on the lake. We are particularly pleased that school children join us to help us with our feeding procedure. The children, during the feeding activity, also work with trained ornithologists to learn to identify and to appreciate birds in their natural setting. 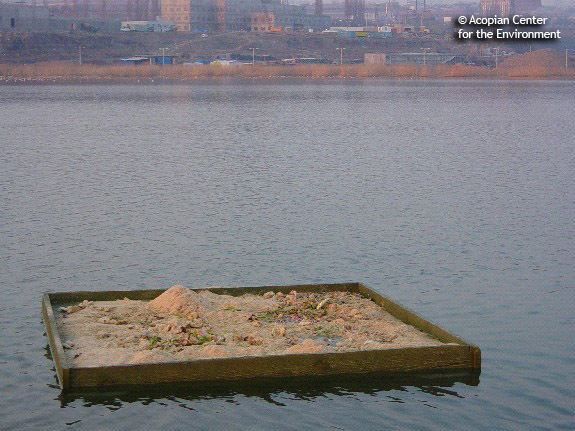 A special pleasant surprise came in 2008 when we received an initiation for a joint-duck-feeding project on Yerevan Lake with Yerevan City Hall. This has been the first case when we did not seek help from the administrative structures but the administration itself suggested working together. 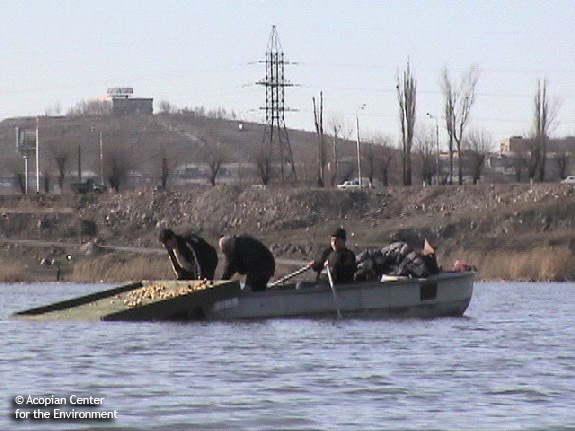 The City Hall provided financial support for obtaining the forage and transporting it to Yerevan Lake. Their support demonstrates that communities can work together in the difficult task of nature protection.